Derek & I paid a visit to the Bognor show this morning. It’s a pretty drive down to the south coast, and far more pleasant than battling up to Stevenage. 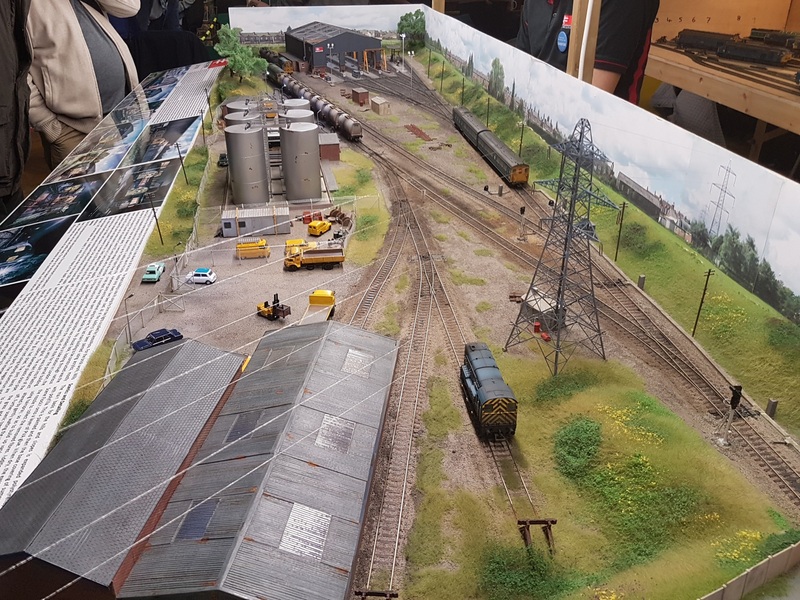 The Bognor show might not have been as good, but it was half the price to get in – and the bacon rolls didn’t run out like the last time I went to Stevenage. One interesting (or maybe depressing) observation was the price of second hand items from the traders. The prices seemed so high – in some cases an extra £5 would have bought a new item. But on to the layouts…. 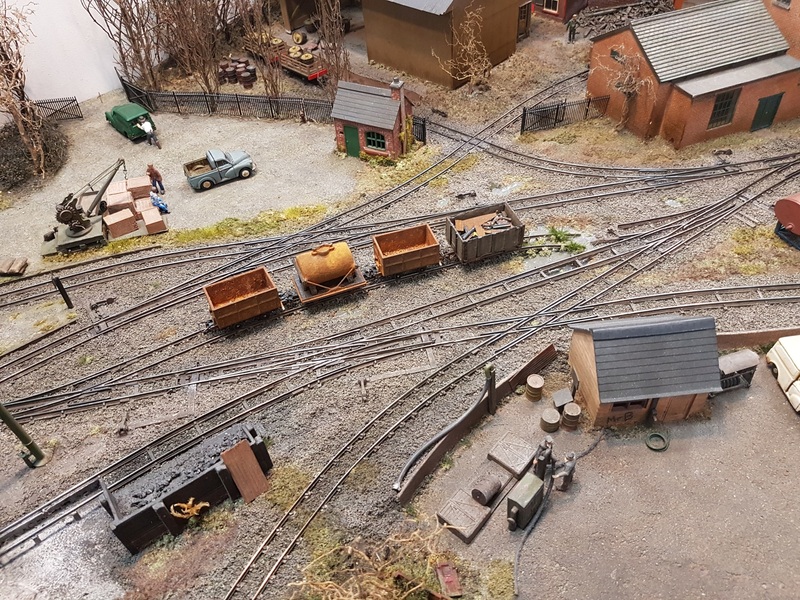 Coleford in oo9 and based on a real Forest of Dean line featured some very nice trackwork, mainly cut-and-shut from Peco narrow gauge track. I liked the man pushing his van out of the station yard. 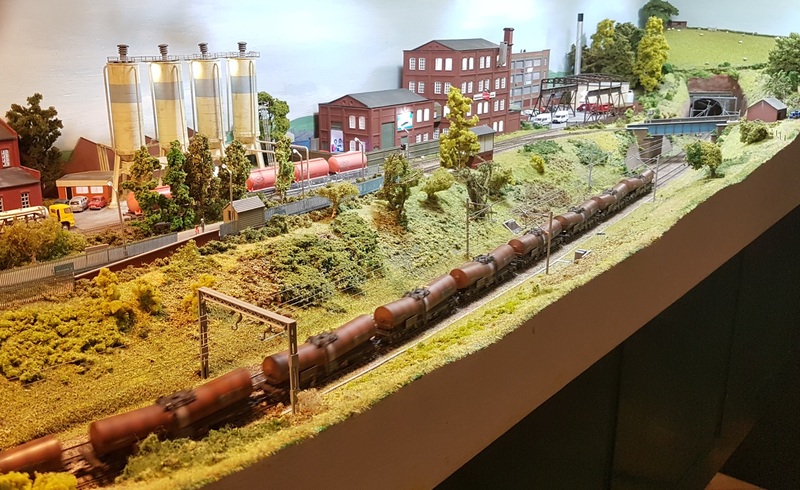 Glasgow Emerald was interesting as that rarity, a British ‘HO’ scale layout. An interesting twin level design in the blue diesel era. 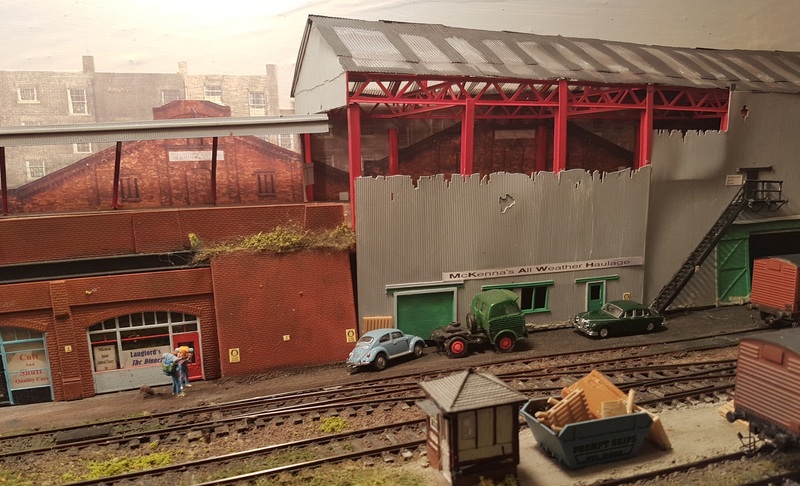 Deansmoor is based on a ply-faced door and models the Stockport area. 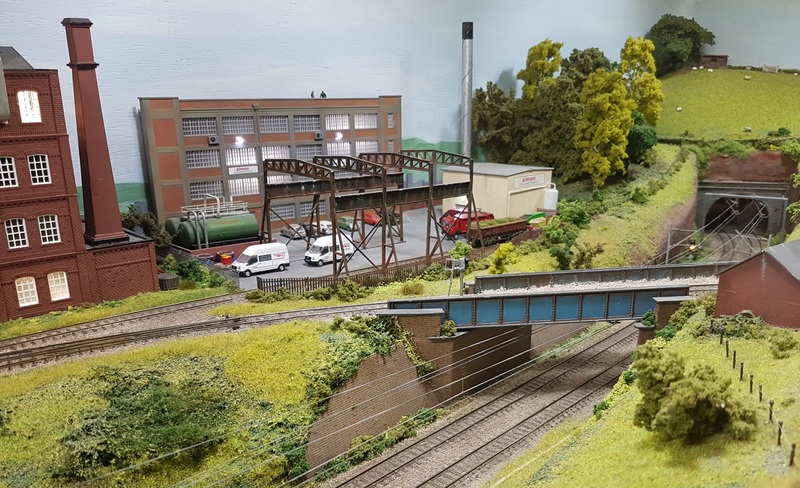 I liked the most realistic (and tensioned) overhead wiring. 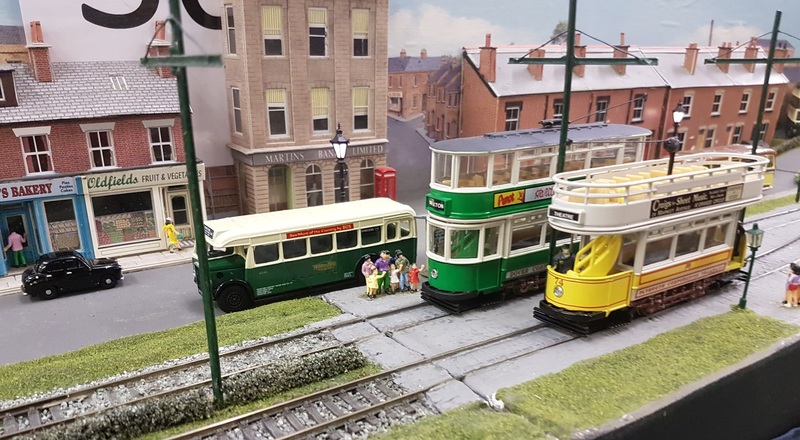 Oakley Green is based on some corner of the Southern Region in the 1970’s. 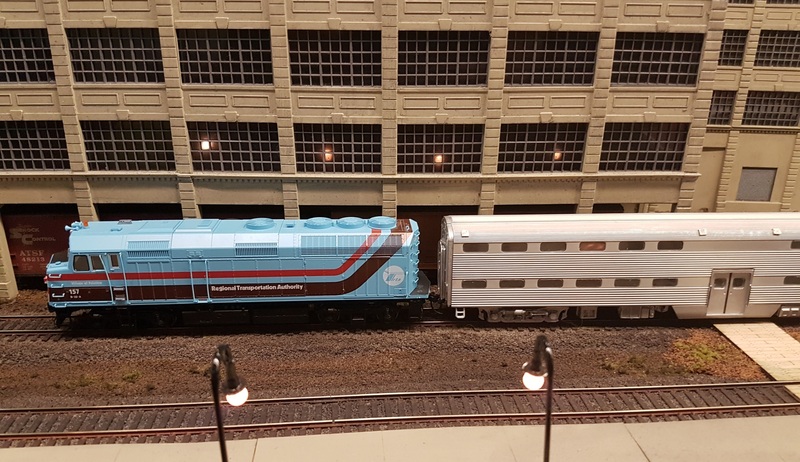 Lemmingon Park offers ‘HO’ American switching. 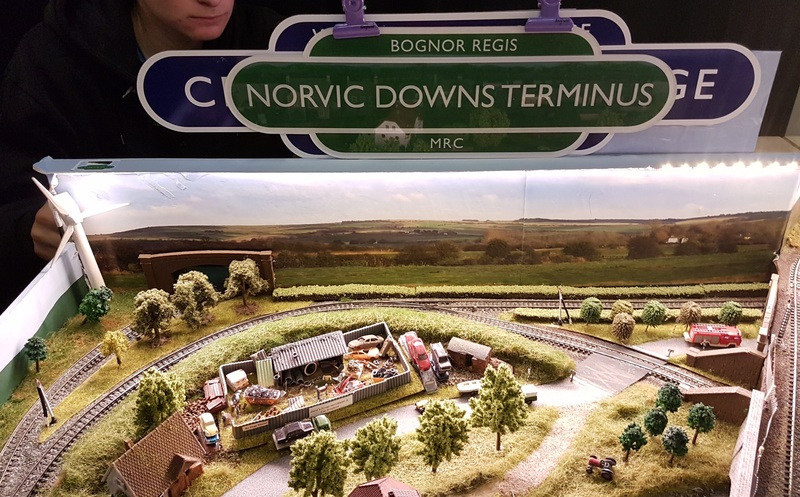 With a name like that, it’s a wonder that the trains didn’t keep driving off the end of the layout onto the floor…. 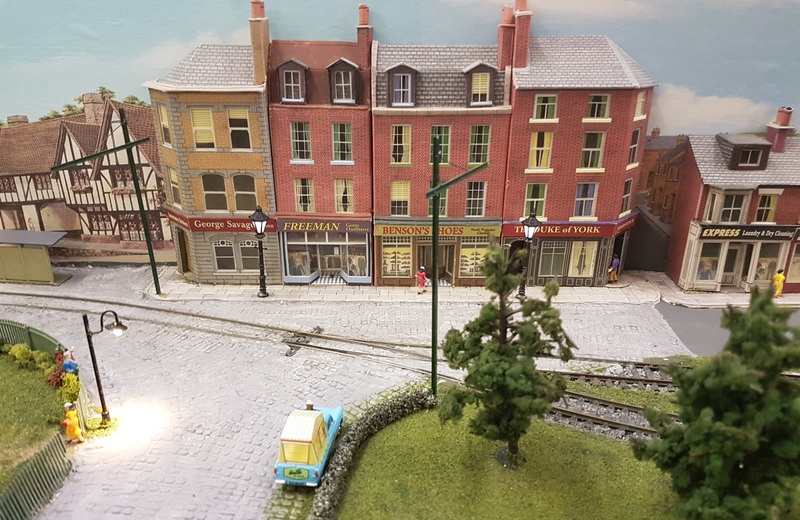 A lovely model of the Hastings Tramways…. The preservation scene at Oakley. 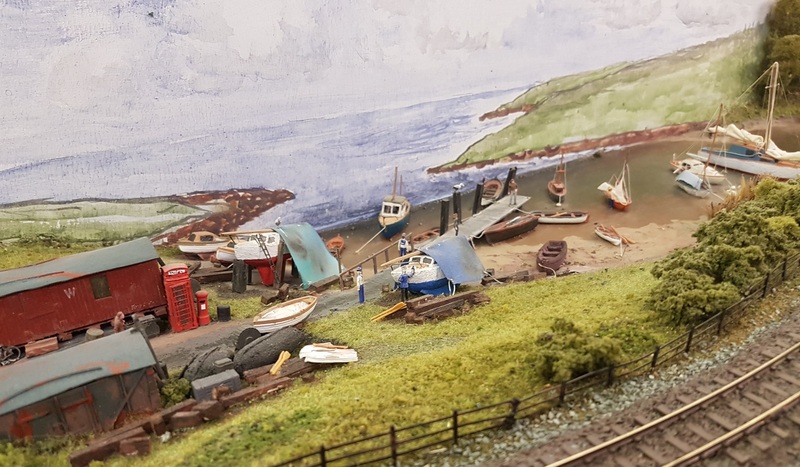 1930’s summer by the sea in 3mm scale – Exebridge. 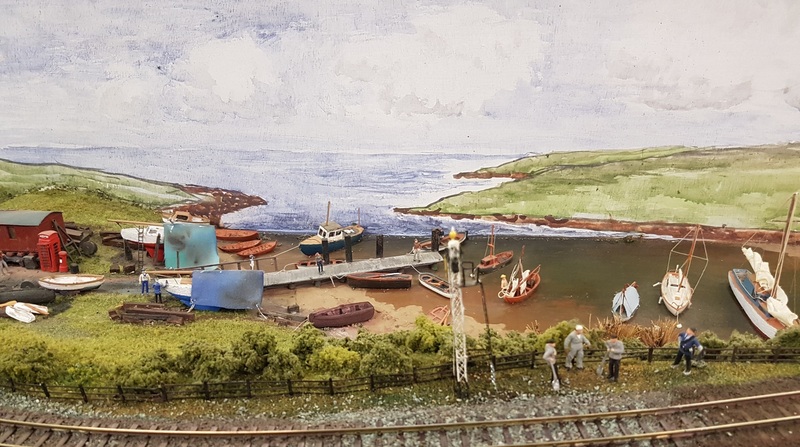 Finally, Richard Hance’s little layout sailing under a false flag. Don’t ask….. 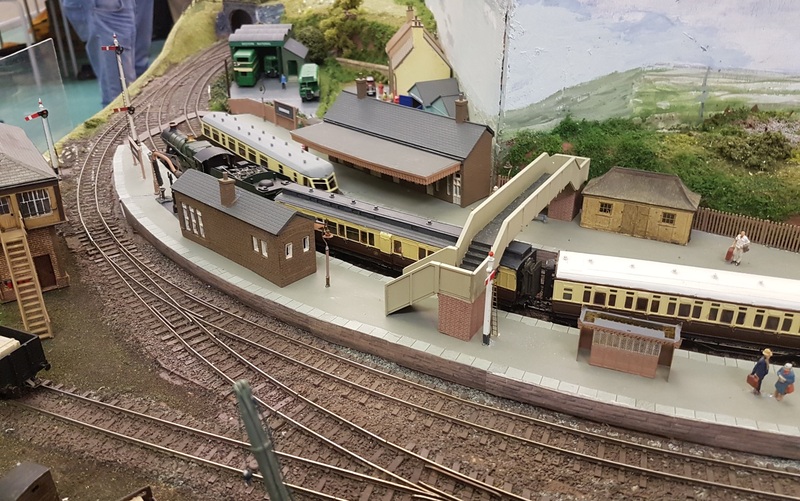 This entry was posted in Exhibitions, Out and about and tagged ESNG, exhibition, model railway. Bookmark the permalink.